This is my mantra!! 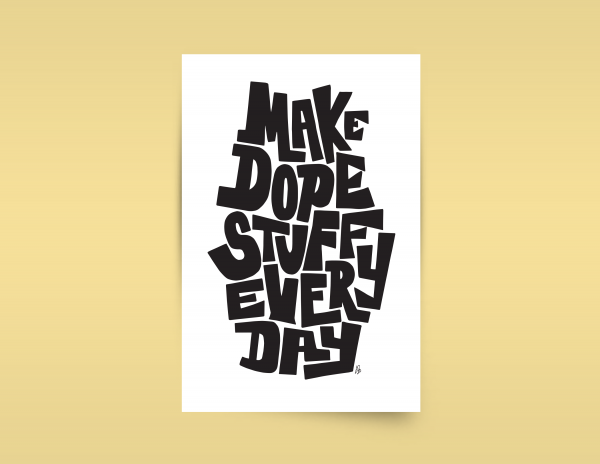 Do something dope every day. That’s where it starts. Don’t get caught up in weeks and months timeline for your goals. It’s about consistency and perseverance. 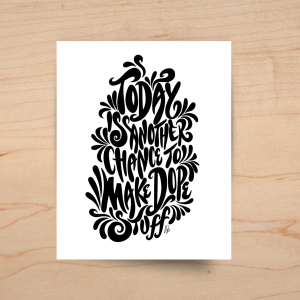 Even if you don’t do something every day, challenging yourself to attempt it will yield better results. You may end up doing something dope 278 time this year opposed to……..like………8. You’ll be able to look back over the next year and see just how much you accomplished. 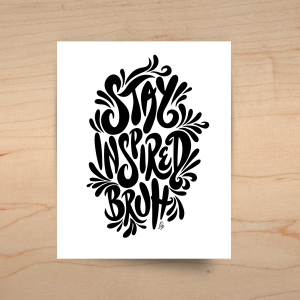 The perfect dose of daily inspiration, this 24×36 matte, museum-quality print is printed on archival paper.